Failure to adhere to best practices in occupational health and safety can have adverse financial implications for companies, says Anton Zwanepoel, Business Unit Manager at Innovative PPE Solutions, a subsidiary of Innovative Solutions Group. “We have in recent times, seen lawsuits approaching R100 million lodged on behalf of workers who were not properly protected from the hazards inherent in their workplace. Work stoppages and labour disputes arising from safety issues result in hugely inflated production costs and, most importantly, too many lives are lost or wrecked in accidents that never should have happened, because companies compromised on their Personal Protective Equipment (PPE) expenditure,” Zwanepoel says. He says organisations should spend between 5% and 10% of their operating costs on initial PPE purchases, which include the likes of comprehensive safety gear for employees, ventilation in the workplace, fire extinguishers and cleaning materials. “Global trends show that in the financial year of 2015-2016 there were over 51% of workplace deaths from falling from heights and 50% of serious workplace injuries occurred from slipping and tripping, according to Eurostat. 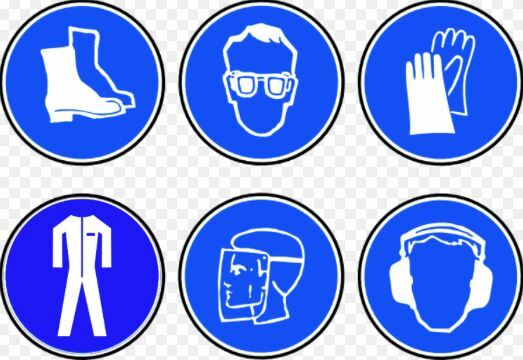 PPE has immense benefits for both employers and employee. Employers are less likely to face legal action. Adhering to a solid PPE plan also increases the lack of accidents, which reduces production costs, staff turnover and improves service delivery,” Zwanepoel adds. In recent years, employers have become more aware of the dangers inadequate safety equipment poses on employee wellbeing and the company’s bottom line. During 2015-2016, companies lost over 27 million working hours due to injuries on duty, according to Eurostat. Injuries on duty in South Africa are recorded by the Department of Labour and the Workman’s Compensation Fund. However, there have been calls for a more accurate reporting system to record the number of injuries and claims per annum. But employers often lament the high costs associated with the implementation of safety regulations in the workplace. Choosing to exclude a comprehensive safety plan altogether or opting for unscrupulous suppliers of PPE.